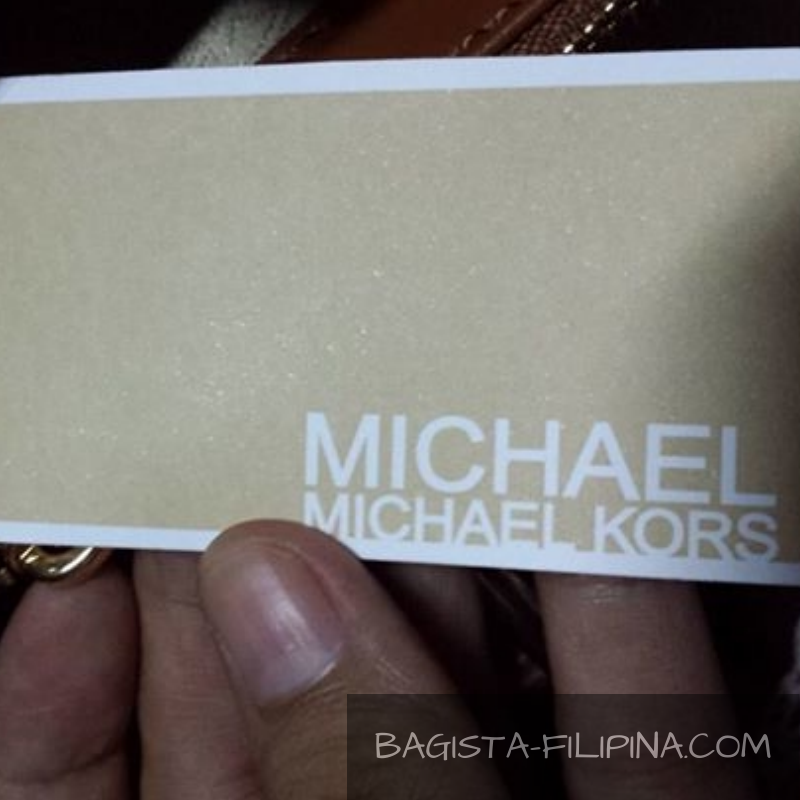 Michael Kors bags have INSIGNIAS on every metal part of the bag. MK uses only Silver and Gold Metal. If your MK has LARGE stitching its a FAKE. Take time to look at the tag, it should be in the light brown tag. Check the MK lettering it should be very close together. Never forget to check inside the bag, you will see a transparent tag indicating the “MADE IN (BLANK)” part, mostly you will see made in China, Indonesia and Malaysia. Then below it you will see a 2 letter and a 4 number, the 2 letters signify the style of the bag and the numbers are the year and the month it was made. Most of MK bags use YKK zipper. There are many knock offs bag at this time, so it’s better to buy from a reputable online shop, and if you have time to visit the mall, check the item that you want ti buy and make a comparison. MK bags were originally made or manufactured in the US previously, but in 2008 they move to CHINA. Yes, you read it right CHINA. Transparent tag found inside your bag, indicating the year, month and style number. [line]Update on How to SPOT: Michael KorsI recently found out another way to check on your Michael Kors bag or wrislet. Here’s some picture. As you can see there is a bolt or a screw on the hardware. This is mostly used on wristlets and bags that have sling. This is the front view of the screw. As you can see there is a bolt or a screw on the hardware. This is mostly used on wristlets and bags that have sling. This is the back view of the screw. Hi would you mind lettin me know which wweb host you’re using? I must say this bloog loazds a lot quicker then most. Can you suggest a good hosting providdr at a fair price? detailed ɑbout mү difficulty. Үou’re wonderful!